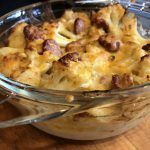 A great comfort food and substitute for mac ‘n cheese is cauli “mac” ‘n cheese. And, mixed with slices of hotdogs, it makes a nice side dish or meal for the Keto diet. Add all cheese sauce ingredients together in a pot and stir until melted. Cut beef franks into slices. Add to cauliflower in pan. 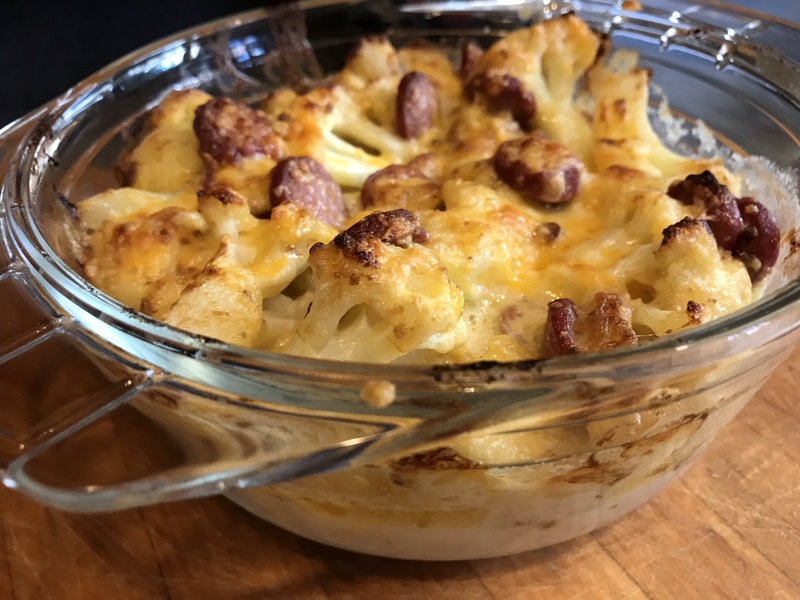 Pour cheese sauce into pan with cauliflower and beef franks and stir until blended. Pour mixture into a baking dish, then sprinkle shredded cheddar cheese on top. Bake at 400 for 5-10 minutes.